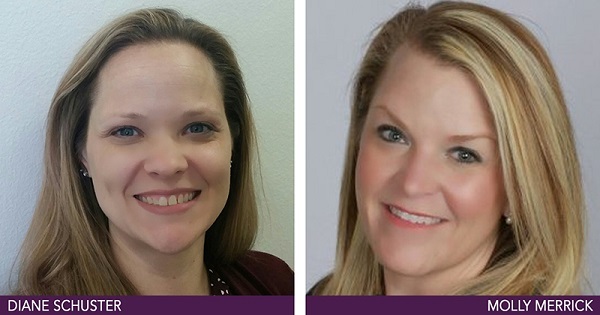 Plano, Tex.—Berkshire Hathaway HomeServices PenFed Realty, one of the country’s fastest-growing real estate brokerages, welcomes two of the industry’s foremost relocation experts to its Plano office. Molly Merrick, most recently from Cornerstone Global Relocation, and Diane Schuster, formerly of Altair Global Relocation, both joined the company in September. Merrick can be reach via email at molly.merrick@penfedrealty.com, and by phone at 469-265-3241. Schuster can be reached via email at diane.schuster@penfedrealty.com, and by phone at 469-265-3242. Merrick and Schuster both reside in Plano with their families. Berkshire Hathaway HomeServices PenFed Realty (http://www.penfedrealty.com) is a full-service real estate company with unit sales of over 15,000 per year and sales volume of $4 billion annually. The company has 1,800 agents and more than 55 offices, providing complete real estate services nationwide. PenFed Realty is a wholly-owned subsidiary of PenFed Credit Union, a financial institution with almost $24 billion in assets and almost 2 million members worldwide. PenFed Realty is a member of the Berkshire Hathaway HomeServices brokerage network, operated by HSF Affiliates LLC. PenFed Realty is proud to be an equal employment opportunity employer.